Testing climate models using an impact model: what are the advantages? Global and regional climate model (GCM and RCM) outputs are often used as climate forcing for ecological impact models, and this potentially results in large cumulative errors because information and error are passed sequentially along the modeling chain from GCM to RCM to impact model. There are also a growing number of Earth system modeling platforms in which climate and ecological models are dynamically coupled, and in this case error amplification due to feedbacks can lead to even more serious problems. 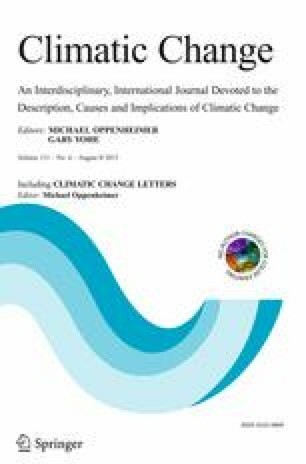 It is essential in both cases to rethink the organization of evaluation which typically relies on independent validation at each successive step, and to rely more heavily on analyses that cover the full modeling chain and thus require stronger interactions between climate and impact modelers. In this paper, we illustrate the benefits of using impact models as an additional source of information for evaluating climate models. Four RCMs that are part of the HyMeX (Hydrological cycle in Mediterranean EXperiment) and Mediterranean CORDEX projects (MED-CORDEX) were tested with observed climatology and a process-based model of European beech (Fagus sylvatica L.) tree growth and forest ecosystem functioning that has been rigorously validated. This two part analysis i) indicates that evaluation of RCMs on climate variables alone may be insufficient to determine the suitability of RCMs for studies of climate-forest interactions and ii) points to areas of improvement in these RCMs that would improve impact studies or behavior in coupled climate-ecosystem models over the spatial domain studied. This work has been funded by the Humboldt project funded by the GIS (Groupement d’Intérêt Scientifique) “Climat, Environnement et Société”. This work has also been carried out in the framework of the LabEx BASC (Biodiversity, Agrosystems, Society and Climate, ANR-11-LABX-0034). This work also contributes to the HyMeX program (HYdrological cycle in The Mediterranean EXperiment – http://www.hymex.org) through INSU- MISTRALS support and the GEWEX program of WCRP. The simulations used in this work were downloaded from the Med-CORDEX database (www.medcordex.eu). We acknowledge: (i) Samuel Somot for providing one of the simulation outputs; (ii) the ESPRI/IPSL database teams and Julien Lenseigne for their technical support in data archive and simulations runs.